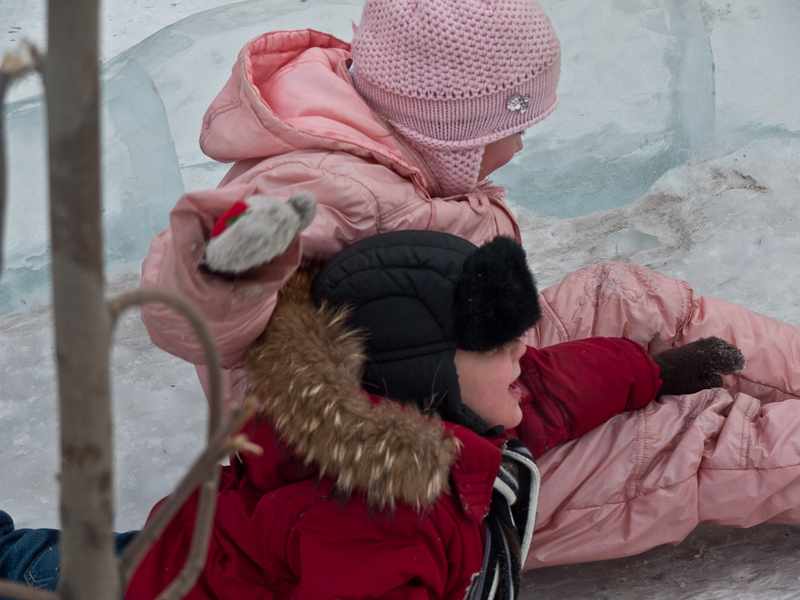 Russians seem to have a natural flair for fashion. It is not surprising to see most people walking on the streets and dressed as if they are on their way to a party or some event. They don’t dress expensive if that’s what you are thinking. Some do of course, you can see some ostentatious display of fur (which I frown upon though) but most of them are dressed in simple clothes and winter wear. But what adds to the fashion flair is the way they carry it. Apart from the fact that people (especially women; of course I am biased here 😉 are very beautiful, the dressing style just accentuates their innate beauty. If you are keen to see more people pictures and fashion, go to @nat’s picasaweb album. But today I am not going to be posting and talking about beautiful women, but about kids – they are simply adorable as anywhere in the world. 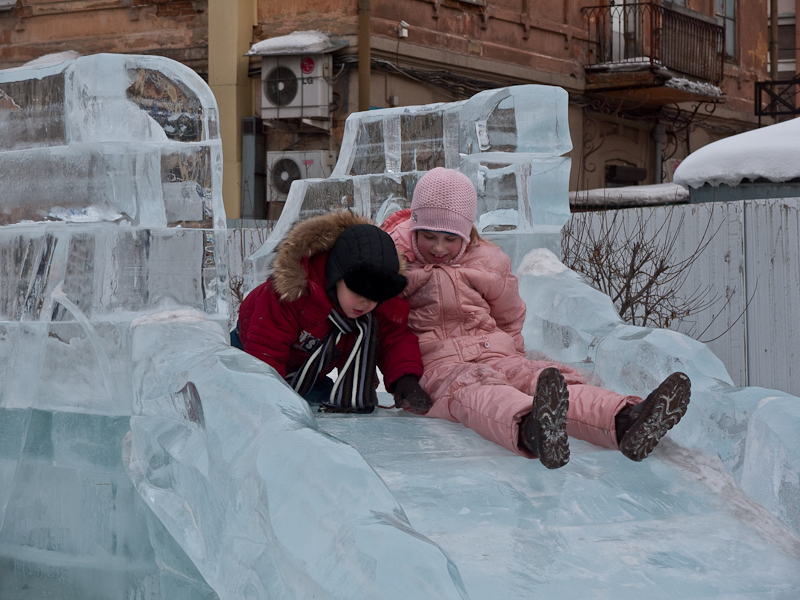 We came across a some ice sculptures in the middle of the town in Irkutsk. 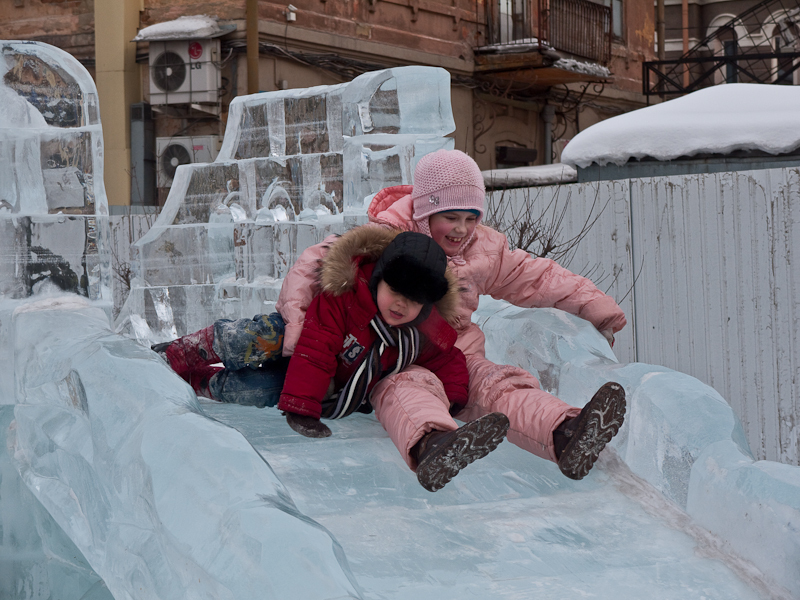 It was late afternoon and a bunch of kids with their parents were having fun in the playground in which everything was made of ice. 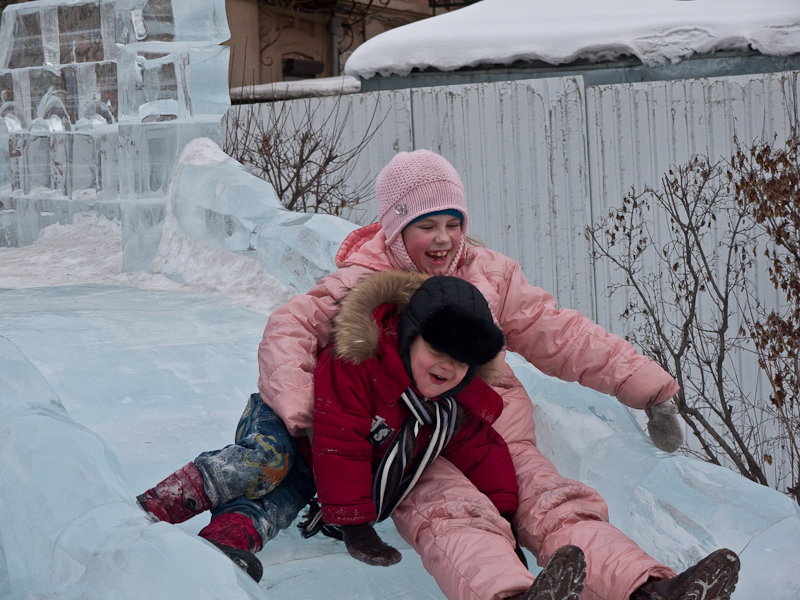 A brother and sister duo were coming down the ice slide and I fortunately had my camera ready. Click on the pictures to see the full versions.